He points out, naturally without naming the government responsible, that ‘two insurgencies’ followed the last time that power was consolidated ‘around the president’. He ignores the fact that the insurgencies burgeoned after democracy was subverted with the 1982 referendum, that kept for a further six years a massive parliamentary majority obtained with just over 50% of the vote in 1977. This government on the contrary has never shirked elections. Indeed it could be argued that they have had too many of them, which has naturally led to some fatigue about the process. This has provided solace to the defeated, who claim that the current overwhelming victory of the government is somehow vitiated by the comparatively low turnout. This, in their selective turns of phrase, is attributed to UNP voters staying at home plus ‘disgruntled UPFA supporters’. No reason is given for UNP voters staying at home, indeed for a million fewer UNP voters than in 2004 bothering to poll. And the possibility that UPFA supporters were simply disinclined to make the effort, given the outstanding victory of the President in January, is quietly ignored. But, notwithstanding the fact that the UPFA got well over half a million votes more than it did in 2004, when the JVP also contributed to its success, the election results make it clear that the President is far more popular than his party. This is no surprise to anyone except groupies anxious for consolation. After all, this stark reality is precisely why the Presidential election was held first and though some of us, deceived by Colombo cackle about the popularity of the General, worried about what seemed a risk, it turned out that the President thoroughly understood the mood of the people. That understanding extended also to the selection of candidates for nomination this time. A judicious blend of experience and freshness, young and old, seems to have caught the mood of the electorate, which has produced a parliament that is balanced and should therefore be able to innovate with understanding. There is however one area in which the government will need to work harder to ensure that its triumphs over the last few years are appreciated by all Sri Lankans, which is the best way of ensuring that they will be sustained. 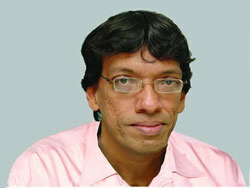 This is to fully integrate Sri Lankans of all backgrounds into the governing coalition. After all, this is what the old United National Party was able to do, before the racism of its 1956 Kelaniya sessions drove out the distinguished Tamil politicians who had previously enabled it to do so well islandwide. 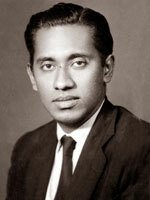 Alfred Duraiappa (died 27 July 1975) - former MP and Mayor of Jaffna. The SLFP began on a different basis, but over the last few years it has begun to transform itself, as well as the UPFA, into truly national parties, with more than the token Tamil representation exemplified for instance by Mr Kumarasuriar in the seventies. At the same time it should be noted that it was the LTTE that stopped the process of integration into the SLFP of Tamil politicians with high standing in their own right, when they shot Alfred Duraiappah, the SLFP Mayor of Jaffna, during that period. 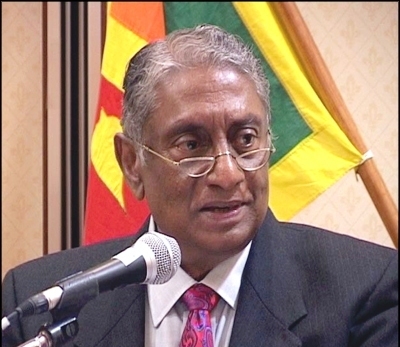 Lakshman Kadirgamar (died 12 August 2005) - former Foreign Minister of Sri Lanka. Lakshman Kadirgamar was the principal symbol of high-powered Tamil politicians at the heart of SLFP government, the reason again why the LTTE killed him. But government and brave minority politicians persevered in building bridges and this time round the government was able to incorporate different Tamil and Muslim interests, through full participation within the UPFA lists of members of the EPDP and the CWC and the NUA as well as Mr Muralitharan and Mr Bathiudeen, together with their supporters. Sadly, this inclusiveness, through no fault of the government, did not extend to PLOTE or the TMVP. I could understand the feeling of the leadership of these parties, that they needed to maintain their independent identity if they were to compete with the TNA (or ITAK, as it is now known). However the results in both Batticaloa and the Vanni, where ITAK had very small majorities over the UPFA, and therefore won three seats including the bonus one in each district, show what could have been achieved had PLOTE and / or the TMVP joined together with the UPFA. But it will be necessary also for government to work hard to ensure that the benefits of its development programme also translate into a sense of inclusiveness. Both in Digamadulla and in the Vanni an impression of a mono-ethnic approach may be created. This is not quite fair, since one Muslim candidate was elected for the UPFA in Digamadulla, but the absence of Mrs Ashraff as also a representative of the people of that district as a whole will be felt. Similarly, the absence of Tamil representatives in the Vanni, including those members of the TNA who had finally had enough of its divisive leadership, and joined the government, needs to be addressed. Fortunately the means to resolve these little problems lie ready to hand. The patent failure of the TNA to enthuse those in the North and East who had previously voted for them suggests that the government will not find it difficult to win hearts and minds. Thus the performance of the UPFA in some constituencies in the Batticaloa District augurs well for the approach of Mr Karuna, and it would only be a matter of time before the TMVP appreciates the importance of active integration for political purposes. Even more heartening is the achievement in Jaffna of EPDP candidates and in particular Douglas Devananda, strongest proponent from that area over the last couple of decades of political integration along with regional empowerment. He got more preferences than any of the ITAK candidates, more preferences indeed than the whole EPDP got votes in 2004. Doubtless, if social and economic empowerment go hand in hand with constructive political reforms as enunciated in the President’s manifesto, the people of Jaffna will respond positively, as they did to the UNP many years ago when G G Ponnambalam was Minister of Industries. In this regard though, it will also be desirable for both main parties to examine the situation in Colombo. I should note that I do not think either party is at fault here, but it is a pity that the UPFA has no Tamil representation in Colombo and the UNP no Muslim. This is obviously the result of our peculiar election system, but the result may be resented without being properly analysed by those who feel themselves neglected. 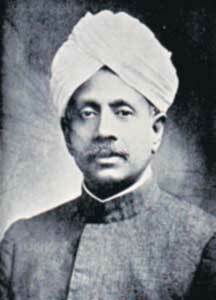 Ponnambalam Arunachalam (1853 - 1924) Member of the Executive Council and the Legislative Council of Ceylon. It will be recalled that one reason for the development of resentment amongst Tamils was Ponnambalam Arunachalam being deprived of a seat in Colombo when the Manning Constitution was introduced in 1920. Consequently, though the situation changed with Manning-Devonshire, Arunachalam himself had died disappointed, and his brother, Ponnambalam Ramanathan, who had earlier represented all Sri Lankans so effectively under the McCallum Constitution, retreated to Jaffna for electoral purposes. The President’s ideal then of integration at all levels should be promoted swiftly. This will need some constitutional reforms, but it can also be ensured by the development of a strong two party system, with both parties including substantial minority elements. The UNP it is true may find it more difficult to integrate the opposition, given the challenge of the General and the TNA and their divisive supporters, and this will need to be discussed at some length. But the UPFA can feel pleased that its efforts at national unity in the context of empowerment for all, and in particular those deprived in the past, has borne fruit electorally too.